Does The Shape Of Your Beer Glass Affect The Flavour? Enjoying your favourite beer or cider should be a special occasion - something you take your time over and really look forward to... So when it comes to retrieving that ice cold bottle from the fridge, what glassware should you pour it in to? All those little details are going to get you ever closer to achieving that perfect pint. So to help you out, Cornish Bottled Beer will guide you through everything you need to know about your glass shape and style to transform the taste, look and efficiency of your drinking experience. One of the more elegant glass types, the oval design is perfect for creating the perfect frothy head, letting the flavours and aromas to develop naturally. The wine glass-esque stem also helps to make your beer drinking experience more enjoyable, allowing you to hold your super chilled beer without getting your hands cold. The long, slender glass shape is your go-to receptacle for the perfect pour - letting the liquid cascade down the side of the glass with ease. The narrow base and the wider rim lets a smooth foam head form effortlessly while keeping your beer carbonated for longer. 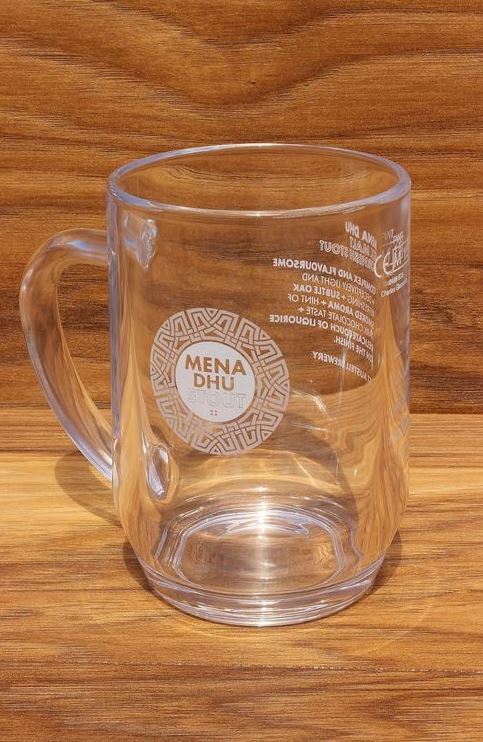 Your number one glass for a robust and traditional beer drinking experience. If you're more of a fan of classic brands and old-fashioned flavours, your glassware selection simply won't be complete without a tankard glass. The practical handle is designed to keep your beer icy cold while giving you something user-friendly and easy to hold. Some also believe that tankards help to bring out flavours by emphasising the nature scent of your ideal tipple. Does The Rim Width Affect Your Drinking Experience? Your glass rim of choice is crucial in determining the sweetness and bitterness of your beer. A wide rim glass will encourage deep gulps allowing the liquid to hit the back of your throat, accentuating bitterness. Narrow rims let you sip your drink with more control - the beer will sit in the front of your mouth and the sweetness will be picked up by the taste buds on the front of your tongue.